After a second stroke my mother was left totally dependent on others. The staff here are so caring and supportive to her and we are very grateful to everyone at Bridgeside Lodge. “I was very upset when I was told my partner had to live in a nursing home. However, to my surprise, the staff at Bridgeside lodge are approachable, very friendly and the care given is excellent. Care and kindness second to none, can't praise this care home enough. So glad we could put our mum there knowing that she is in safe hands. The staff really care, mum is not just a number. Top marks. Bridgeside Lodge is a modern purpose-built care home in Islington located by the beautiful Regent’s Canal and provides a ‘home for life’. With luxurious and modern facilities, Bridgeside Lodge is designed to meet the very wide and specialist needs for the long term care of both younger clients aged 18-65, particularly with Neurological and Spinal conditions, as well as the elderly client, with or without dementia. Our wide range of clients benefit from the kind and considerate attention our dedicated staff are noted for. 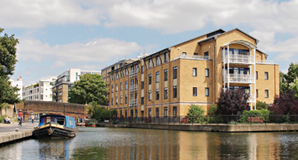 This residential care home in Islington, situated at a canal-side location is of course a restful place, however there is no shortage of activities. Live entertainment is often the order of the day and many of our activities take place in the lounges or in the summer on the garden terrace by the canal. As a caring team we aim to provide a confidential, non-discriminatory and non-judgmental service to all our residents. The care we provide will be high quality resident centered care that is flexible and meets the needs of both residents and the people who are important to them. Our approach is practical but sensitive to ensure respect and dignity are maintained for everyone. 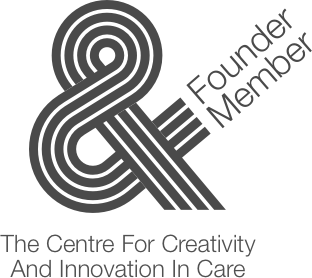 The care we provide will at all times recognise the unique and complex nature of every individual. We will ensure that this care reflects physical, emotional, psychological, social and spiritual needs and values.